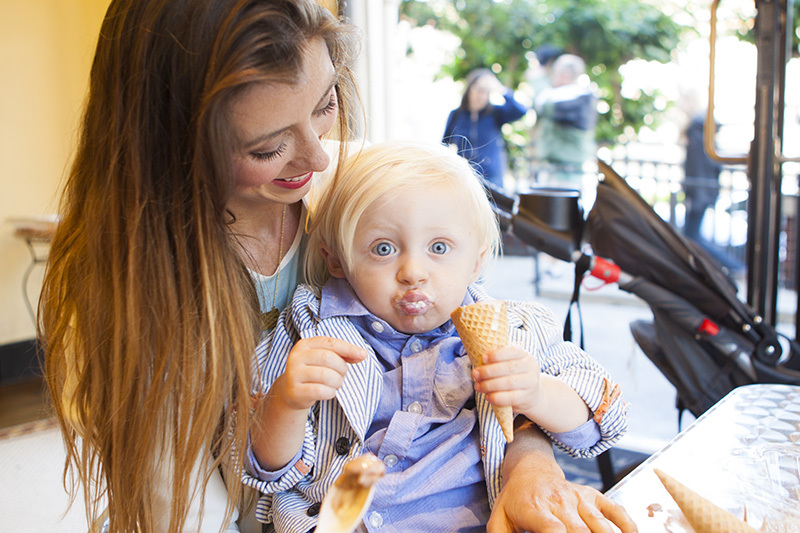 last week, during a particularly warm afternoon by the bay, holden experienced his very first ice cream cone. he has had a taste of ice cream here and there, but never seemed that interested - he wouldn't ask for more and it didn't seem like it was anything special to him (now fruit popsicles are a completely different story!) however, this time was different. the three of us shared one vanilla and one chocolate ice cream cone, expecting that he would take a bite and then let us consume the rest, but i never did get my cone back. his eyes were so wide and he was so serious the entire time, repeating mmmmm, ice cream, cone, mmmmm. it seems as though he may have changed his mind on ice cream. Older PostOSCAR IN THE COUNTRY.